MLM is a not an easy business & more than 70% people don’t earn a single cheque in their entire MLM career. Only 3% of the people make it big in any MLM company & rest of the 27% people make a normal living from this business. You need to do something different to get included in the 3% of the people. You must have qualities like a leader & a willingness to do something different. Another most important part for success in MLM or any other business is ability to promote your business. If you have just started your MLM business & want to join your friends & relatives first then I have written a very useful article here which will show you how to make your MLM business a success through known people. Just give up because you didn't get good response from your friends & relatives. You have joined a good network but your network members are not able to add more members. You have a good team & most of your team members are very active & there is good scope in future. In all these situations, you need to promote your MLM business further so that you can add more & more new members under your team. There will be 2 advantages of promoting your business further to the unknown world. First is, you are continuously getting hundreds of direct referrals & even if you get few people who are self motivated, they can grow your network like anything. Second advantage is, you can add your referral under your inactive members so that they will get motivated & some of them become active. Although I have used both the methods but I like online method more than offline because of its reach. You can take your network internationally through this method. I know most of the MLM networkers who are reading this article don’t have idea of creating a website & they will try to ignore this promotional method but trust me this is much easier than your thought. If you spend sometime getting the idea of creating a website & doing some SEO, you can get high quality leads from all over the world. Millions of people all over the world search Google for checking review & other details of MLM companies. You need to optimize your website in such a way that your website appears on first page of Google for many of such keywords. This way, people will visit your website, read about your MLM company & if they like it, they will contact you for further details. You can refer this article to create a high quality website & if you want to know about search engine optimization then check this article. This is another best way to promote your MLM business. You need to find blogs who has written articles on MLM & network marketing. You need to leave a good comment along with your company details & contact number so that others can see this & contact you. You can see one of my article on top MLM companies here where I have received more than 450 comments. Many people try to promote their MLM companies through the comment section. So this way, you can search Google with different keywords on MLM & leave your comments on the site you find through search. Another way of promoting online is through MLM forums. There are hundreds of high traffic forums on network marketing. You can search Google with keywords like MLM forum or network marketing forums. You can join these forums & contribute in questions & answers. You can promote your MLM companies either through signature link or in the question-answers. You can create a Facebook page with the name of your MLM company. Then you need to promote your Facebook page so that people Like your Facebook page, become the fan & in future your customer. Use this link to create a Facebook page. You can also choose a vanity ULR for your Facebook page so that it looks clean like Facebook.com/MyMLMCompany instead of very long URL. You should use a professional profile photo & cover picture so that your FB page looks some professional. You need to update your page daily with MLM news in the world or news about your company, new updates, reward structure, motivation stories in your company etc. so that your fans will be engaged with your FB page. You can also use paid feature of Facebook advertising. You can get thousands of potential fans in just few thousands of rupees. More FB fans means more conversion. This is one of the best method if you have investment to promote your MLM business. You need to create a Google AdWords account, make the payment either by credit card or net banking & then create your ad. Within minutes, your ad will appear on the first page of the Google with all the potential keywords. You will receive quality traffic on your website & your network can grow at a very fast speed. You must read the story of Yogesh Srivastav who is working part time in Bangalore & earning a full time income from MLM by promoting through Google AdWords. This option alone can grow your network very fast if used properly. So these are some of the best way to promote a MLM company online. This is one of the most effective & cheap method of promoting your MLM business. I have used this method number of times to promote my business & always got good response without much investment. a. Through Newspaper:- You can design 4×6 inches pamphlets & contact major newspaper vendors in your area. They can insert your pamphlets in each single newspaper & distribute to all their customers. You need to make sure that delivery boys insert only one ad pamphlet in one newspaper. If you are not present at the time of inserting your ad, they can insert multiple pamphlets in one newspaper & so your ad will not reach all the people. b. Distributing at Crowded Place: I don’t need to tell you which area in your city is always crowded. You just need to hire a local boy to distribute your pamphlets personally to each & every person in the crowded place in your city. You can use this method on daily basis because you will always get new people in the crowd. To make it more cheaper, you can reduce the size of your ad to 2×3 inches. c. Distribute in building apartments: Gone are the days when 7 floors+ building were found in only metro cities. Now you can find buildings with dozens or even hundreds of apartments. Here your target is letter boxes located in these buildings. Either you can drop your advertisements or hire someone to drop your pamphlets in the letter boxes. You can also stick your advertisement near the building lifts or inside the lift so that each & every person who use the lift can see your advertisement. Always ask the permission of society manager before doing this. Although this is costly but this is also one of the most effective ways to promote your MLM business. Display ads are too costly & not affordable at initial stage so you can place the ads in classified section. You can create an attractive 4 or 5 lines advertisement & place your ad in newspaper classified ads. Most targeted categories in newspaper for MLM business are ‘work from home’, ‘business offer’ or ‘part time jobs’. And many more local & regional newspaper. You can target as per your city. Try to start with one newspaper in your city only. If you get good response, you can use other newspaper & target other big cities. Tip: If you directly deal with the newspaper then you can get a more better deal. Also, don’t forget to take the advantage of discount schemes going on for multiple ad insertion. You can create A3 or A4 size poster ads & stick your poster on the walls of main areas in the city. You need to make sure, if the place where you are sticking your advertisement is not objectionable. If so, you can take the permission of local authorities. People try to remove or torn the poster so you need to make sure if your advertisement is stuck properly & paper quality is good. I know you understood how to promote through this method by just reading the headline. This is really an effective & cheap method. You can talk to few of the auto & taxi driver (even the rickshaw puller) & tell them you are ready to pay them a monthly fix amount for placing their ad on their autos & taxis. Because they travel all over the city, your business can be viewed by thousands of people every day. Try to stick the ad on the most visible place of their taxis. Giving ad in local cable is also a good way to promote your business. Local cable ad is very cheap & they can run your advertisement on the local channel of your cable TV. Many of the people including me have used these online & offline methods & found it a very successful way to promote your MLM or even any other business. If you have experienced any of this, then do share your thoughts on this. Thanks extrmely much for suchvital info. My mlm business will grow, as I look for more goal oriented people who wants change +27 83 559 0883. Thank you for such a well explained and very informative article. It helped me!!! 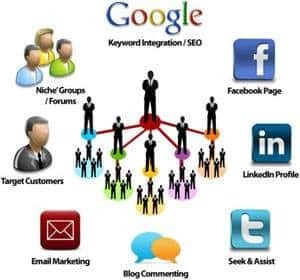 This is very use for new comers with all information how to market ur MLM company in online marketing. Yes. MLM is a turning to be the path changer. It can cause a tremendous change in our economy. But try to choose the best company. I am a network marketer. Indeed the article is good and informative too. Nice article! I believe that promoting MLM business online is very effective. I am so confident because I have built website for many Direct Selling Associates and they are getting regular leads from their websites. I’ve read the article about MLM business and to go on FB creating a page as I have some friends but I should find out a good company. After my success, can go for website blogging. Good article. I’m in total life changes, if anyone interested. Great article. Once you exhaust your warm market you have to expand your marketing efforts. MLM is really good business idea for those only stays at home like moms or disabled person. You know it can make them feel useful in that way. I am proud to be one of those MLM marketers. Great article and thanks for the tips Priya.. These days I find it very easy to use the internet to build my Network Marketing business. I stayed away from family and friends until I achieved success as family and friends sometimes can be the worst people to deal with. With regards to Social Media there is a wrong way and a right way to promote your MLM business and unfortunately MOST people don’t use the right way! I have a lot of experience with MLM and if anyone wants help to grow their business reach out to me. For these kind of sites like Money Connexion you are best. Because it help lots newbies in MLM Marketing business. In case what you need is in the sites that i add. check Triple click stores in the websites below. Good information … Thank u very much ???? I am very happy to give me the aportunity to earn money. Hi Priya, Thanks for tips and tricks for advertising and promote own business. I am going to use the method for promoting my business which is also related to MLM in India which i joined and looking for enthusiatic leads all over India. Thanks again.